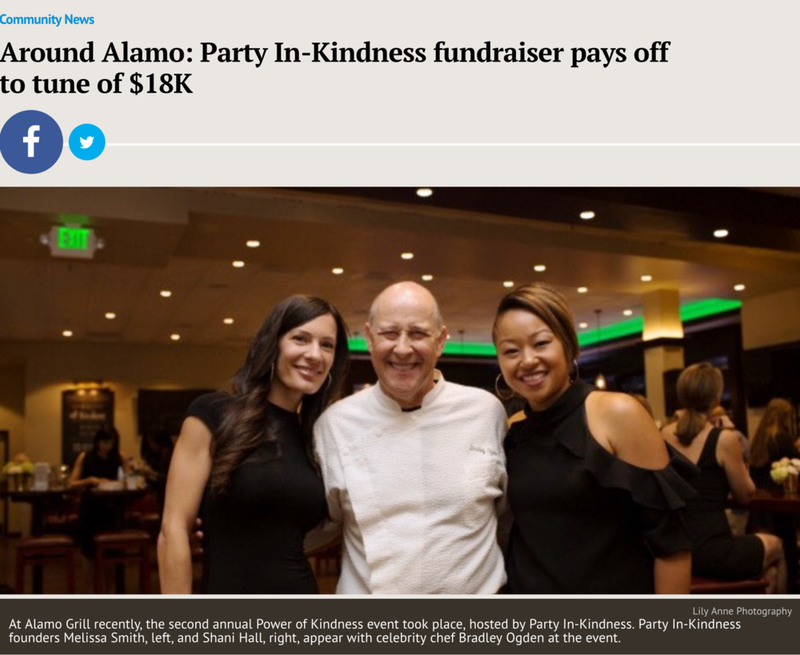 Alamo-based nonprofit Party In-Kindness (PIK) hosted its yearly fundraising event at 1515 Restaurant and Lounge in Walnut Creek, where attendees noshed on appetizers, listened to DJ beats, played games, and sipped cocktails and wine. A portion of the proceeds benefited Rooms of Hope, which creates dream spaces for children with life-threatening illnesses. 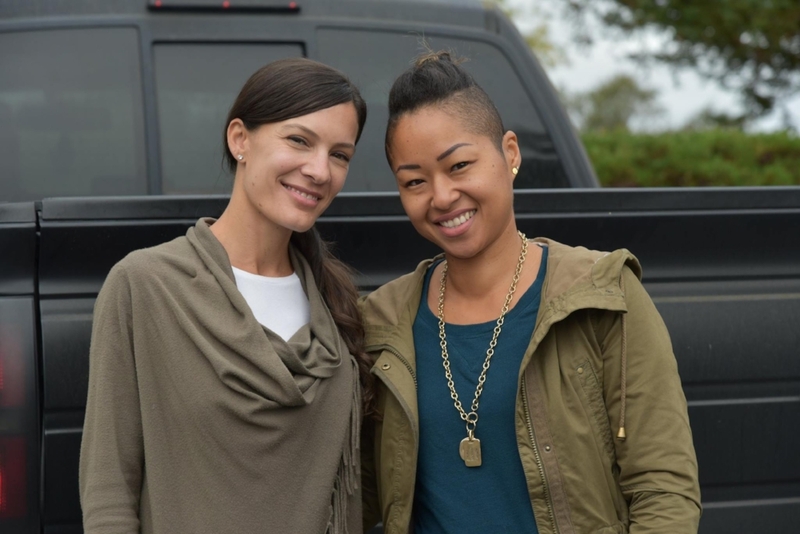 Meet Melissa Smith and Shani Hall, the founders of Party In-kindness in Alamo. These two community leaders rallied their neighbors to support the Redwood Empire Food Bank's fire-relief work throughout #SonomaCounty. Melissa and Shani's campaign resulted in today's donation of $1,500 and a full truck-load of food! Thank you Melissa and Shani for your generous support of the #REFB and local families experiencing hunger. Threads of Hope is Diablo magazine's celebration of outstanding community volunteers. Each year, individuals and organizations nominate volunteers of all ages who provide vital services in a variety of fields including the arts, youth, children and families, education, health, the environment, athletics, and more. Then a team of judges selects a handful of exceptional nominees to be featured in the December issue of Diablo magazine and honored at our Threads of Hope Awards Ceremony. “We raised $18,000 for charity, which we will be putting towards 325 backpacks filled with school supplies such as notebooks, pencils, scissors, erasers, rulers, folders, markers, crayons and colored pencils,” said Smith, who added that they also made birthday boxes, which include party hats, plates, a table cloth, cups, a cake, frosting and candles. “The recipients of this year’s items are Monument Crisis Center and Shelter Inc. The funds raised at the event will also help Party In-Kindness continue our mission of helping those in need,” added Smith. Party-In-Kindness co-founders Melissa Smith and Shani Hall, said the fabulous evening had more than 100 guests in attendance and raised $11,745, which will help children in need in the community. The successful event means that Party-In-Kindness has been able to touch hundreds of children’s lives in the form of camp bags filled with camping supplies donated to STAND! for Families Free of Violence, birthday bags donated to children supported by Monument Crisis Center so they can celebrate their birthdays and backpacks filled with school supplies donated to SHELTER Inc.